What’s this 365 days of yoga all about? 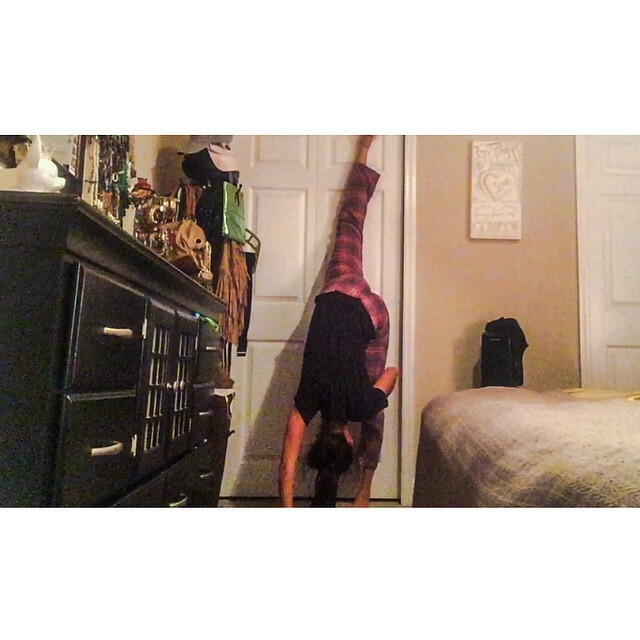 Today marks the second day of 356 days of yoga as well as the 31 day split day challenge and ironically, this day has been much more difficult than yesterday’s because my body has been sore from all of the wonderful stretching and release it was able to engage it yesterday after so long! The soreness from stretching mixed with strength poses is definitely uncomfortable to work through, but it also tells me even more that I needed this practice today. Rather than allowing my muscles to contract and become tightened all over again, I worked through another easy practice, easing into the poses that would keep me limber and strong, as well as taking this wonderful opportunity of a relaxed cloudy day to enjoy some of my favorite connection and relaxation poses among the water and nature. – Child’s pose is a resting pose that brings me back to connecting with my true heart, my intentions, and refocusing before moving forward to more challenging poses. 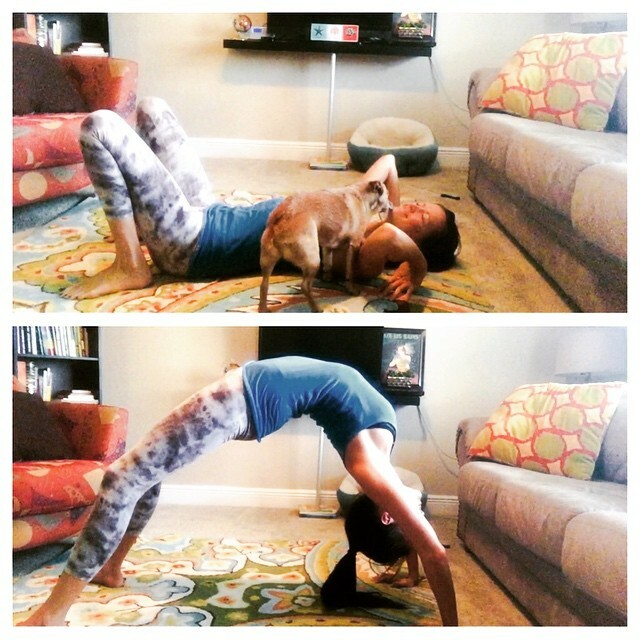 I’m still easing back into my practice after a general couple of months of barely any yoga, anyone of my absolute FAVORITE types of poses to do when I really need to losses up are hip openers, like pigeon pose (top photo). The hips are where we store all of our tension and emotional energy, so opening and stretching them is a mindful practice that allows us to let go of any negative energy cultivated, allowing room for more positivity. This is why it’s not uncommon to experience or witness tears in a yoga class- the release of much pent up emotions is totally normal, and absolutely necessary for healing!! I like to accompany my hip openers with spoken or whispered mantras that further activate my release of any false ideas of negativity within my life, and the acceptance of all things good, such as “I am health”, “I am joy”, “I am love”. Today’s practice was beautiful and relaxing! It was cool out with a nice breeze as I worked through some easy poses. I’ve been stretching a lot these past few days and while I certainly want to make sure I rest and allow my muscles and body to recover, that doesn’t mean skipping practice is the answer. It simply means to keep moving, but to be mindful of how and when to push yourself, as well as how and when to be easy. So today was a restful practice full of lots of forward folding to counteract the backbends I’ve been practicing, and of course my favorite- inversions!! Allowing my heart to reside over my mind physically and emotionally is the truest way I know to live! Today is day 6 and it was all about balance! I set my mat near the edge for a purpose- to bring intentional awareness to my practice as I worked through some balance poses that I have struggled with in the past. It’s all about improvement, and if we take our approaches out of fear, with limit the progress we can make. Welp! It didn’t take much more than one week for me to come across a day I would have easily excused myself from yoga for- day 8 was a struggle to find the time and motivation! It was just a busy day from the start and I left myself no room for yoga in the morning, so I planned to practice when I got home, but because it was super cold out today, all I wanted to do was lay around and snuggle with my lil man (pup) before dozing off. But alas, I remembered my commitment, and I am determined to do this for myself… so here I am!! A brief 15 minute session of relaxation and meditative poses is perfect before bed. 15 minutes is absolutely affordable!! It’s simply a matter of remembering how badly you want what you say you want, and the reason why you want it. Day 9 and I’m feelin fine! I took the opportunity today to use a yoga YouTube video to take me through my practice, because while sometimes I like to listen to my own heart as it guides me to each next step, many times I really appreciate having someone else guiding me so I can simply follow without thinking. Today that was absolutely perfect because it really allowed me to focus more on my breathing, which is SUCH an important aspect of practice!! If you are not focused on your breathe, you’re missing something vital from your practice and will not reap all of the benefits available to you. 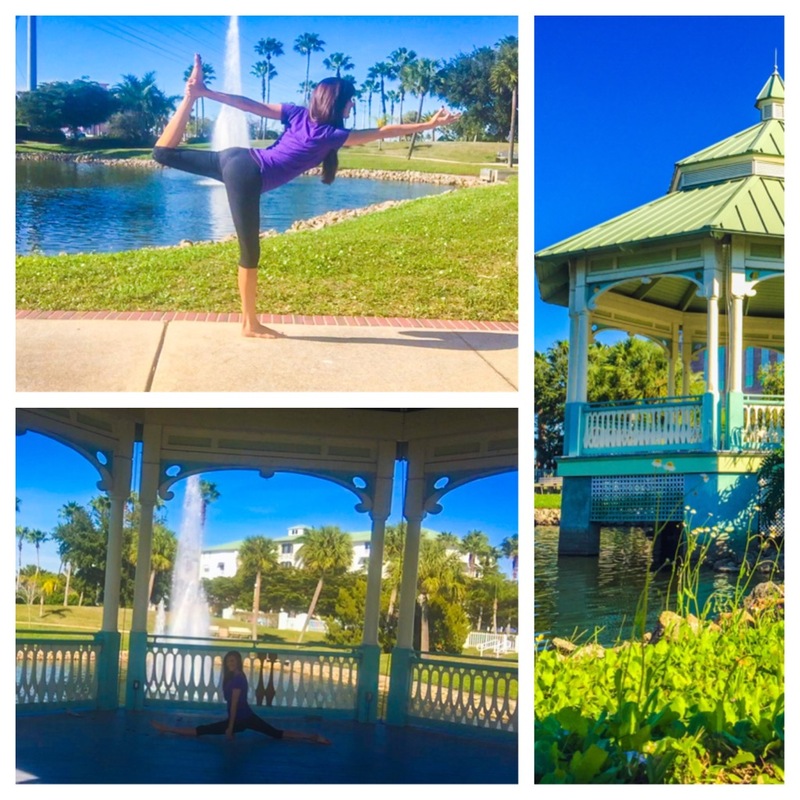 – Crow and headstand were two of my meditation poses today! Both require strength, balance, and awareness, which challenges me all while focusing and relaxing me. Today I did not practice a full practice, but I made sure to squeeze in a small amount of bedtime yoga before hitting the hay, which is just what I needed! -This pose is restorative, relaxing, and healing in so many ways starting with regulating blood flow, to improve digestion and relieve menstrual cramps, to relieving anxiety and insomnia. It even provides anti-aging benefits because it helps the blood to flow to places that need it, preventing aging by depletion. Splitsville before bed! I tend to get bouts of super busy days, and sometimes it’s really easy to find an excuse to skip practice, but I know better at this point and refuse to sacrifice what I know to be good for my mind, body, and soul for what’s “easy”. I’m always thankful for pushing myself into practice, and tonight was no different. Loving the progress I’ve made so far! You can view the video from my Instagram here! Speaking of best friends, meet my friend and neighbor’s dog, Crash… this crazy chico decided to pay a visit during my practice, and I didn’t mind one bit! Isn’t he the cutest?? Standing split is known for its benefits in challenging balance, strength, and flexibility at once, while appropriately showing off the very much underrated plaid PJ’s. 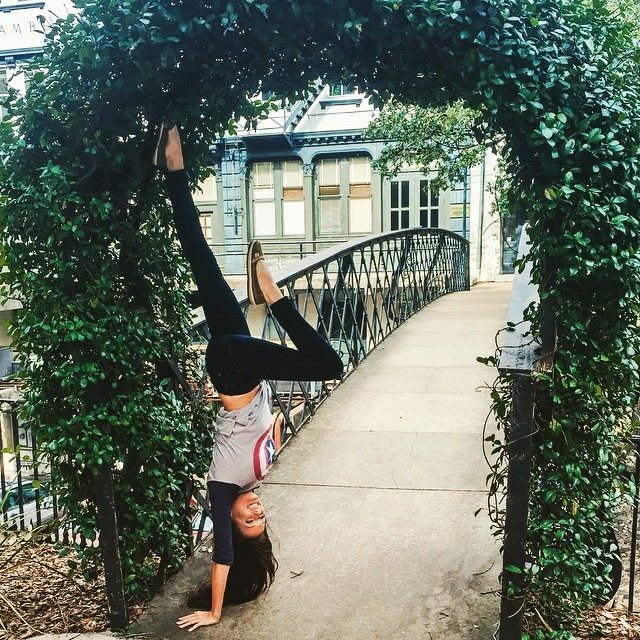 Yoga in the park definitely happened today… and Captain America gave me strength. Watch my Instagram video of Carly and me practicing (*ahem* attempting to practice) in the park here! So a friend of mine and I were talking this weekend about art, and he pointed out that my art is always so happy. I told him that it’s because I am so happy, and he challenged me on it. I explained that I’m blessed with the gift of finding the good in any situation, and that while I do not hide any struggles or pretend that they don’t exist, I simply don’t give them any more life by focusing on them, especially in the form of my art. I believe that the beauty of the world is what deserves the light. But as we were talking, I realized that art is a window to the soul, and that it’s beautiful to allow that window to share everything, even the struggles, because sharing that shows what we’ve built from to come to the beauty, rather than allowing our selective sharing to give the false impression to the world that we are somehow always “perfect” (whatever that means!). So this is me, in my imperfection, building towards strength and balance in a new position. I fell at least 30 times today!! And it’s beautiful. I don’t allow it to discourage me. Instead, I learn from each fall and will continue to work towards success! 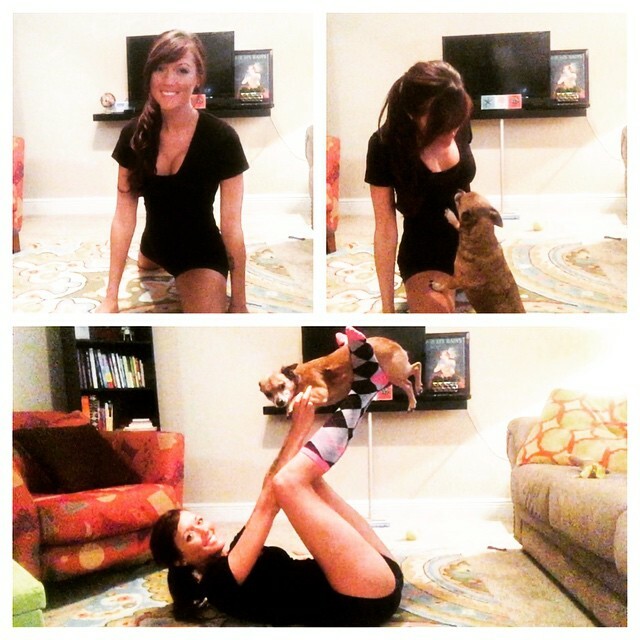 Pretty sure he immediately regretted interrupting my practice… but a little acro yoga was a nice way to end day 20! While yoga is meant to help you find the very real and very deep connection between mind, body, and soul, all too often we can forget how incredibly vital laughing and playing is to it all! Laugh at yourself when you make a mistake, goof off with yourself and/or a friend… making FUN of life is what it’s ultimately all about!! After back-to-back 17 hour days of standing for the majority of that time, 3 days in a row, I can’t even express how happy I am to be able to spend some time in my practice today, stretching it out and regaining my sense of liberation!! In all honesty, I have not done my full practice or splits in these last few days, as I had no time to give- sleep was my priority once I was home! Instead, I accepted my temporary shift of focus, trusting and putting out the intention that I would regain momentum the instant that I was able, and I took whatever opportunity to practice that I could find. I practiced a few brief moves one day, and stuck with a brief forward fold each day at bare minimum, and truly- allowing myself a moment to breathe, stretch, and relax into forward fold did wonders to reboot me when I was feeling worn and tight! It’s a tiny little something, but hey, it’s something!! I was super super tight in nearly every move, and my split most definitely regressed, but that’s absolutely fine because I know ill make it back to where I was in no time with some dedication and work!! I would never advocate for putting your health so far down in your priorities as I did in my last few days, but because I knew that it would be a brief time and that I’ve taken care of myself well enough to this point that I could endure that brief time and still be well, I was willing to trade that focus in order to invest my time and energy into another endeavor that I believed in. It’s all about balance and following your heart! 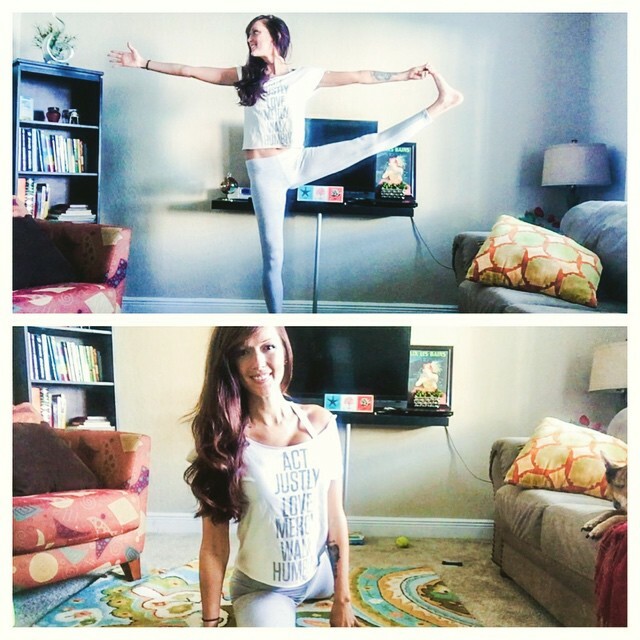 I’m just thankful that my heart lead me back to yoga this beautiful afternoon… I’ve missed you, leggings!!! I did some morning yoga right at the foot of my bed when I woke up because it was too darn cold to go outside… and it was perfection. So I thought I’d share my view of downdog with y’all! Oh! Right! Yes I did yoga too. 😊 Side plank is one of my least favorites because I tend to avoid arm strength anything, because I have little arm strength… anddddd that’s exactly why I needed to do it. You can also lift your top leg and arm up to go into star if you’re feelin strong!! Clearly my jam sesh had me feelin like superman so I went ahead and got down on some of that. Push yourself to your limits this week and watch yourself grow! !… and then dance about it. Watch the Instagram video here! Today I decided to save my yoga for bed because honestly, I was excited to play in my bed!! I’ve got a king size bed all to myself (though that adorable little furry chub baby on the left pillow there does tend to somehow claim most of the space at night? ), so I’ve gotta put it to good use somehow! I used to play around in my bed all the time before I went to sleep, and when I woke up! Summersaults, shoulder stands, headstands, etc… I was a playful child, and I’ve brought that playfulness into my adulthood readily!! That’s while I’m thinking a bedtime yoga sequence is the PERFECT thing to incorporate into this fluff kingdom. 🙂 And here it is! -Twists help to release toxins and relieve stress, child’s pose is a nice resting pose to fall into, and knees to chest bring a sense of calmness as you squeeze out any tension that’s left from your day and release it into corpse pose, where you can meditate and even fall right asleep if you’re at that point! It was suuuuuper relaxing tonight; the zzz’s were abundant! Today I decided to take a 5k run to a new yoga spot because it is just so incredibly beautiful outside!! 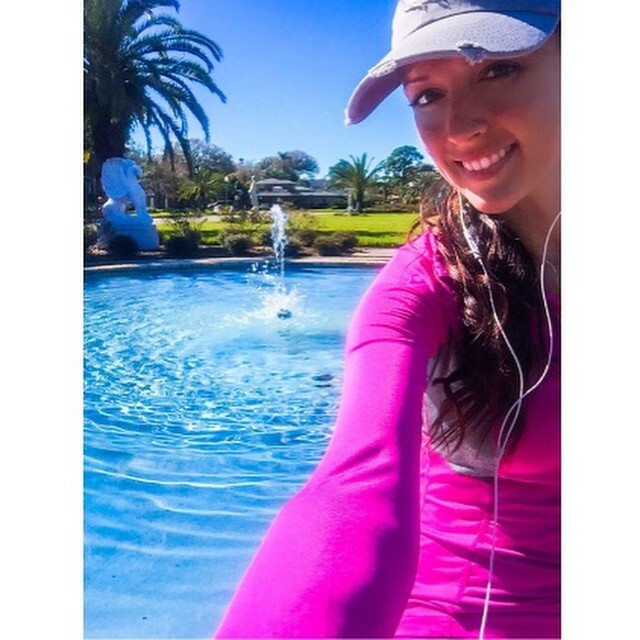 I love running when I have the energy, and living off of a hclf raw vegan lifestyle these past few months has absolutely fueled me with an abundance of pure, vibrant energy! I practiced about 30 minutes of yoga out here at the park, working a lot on balance poses, but I have to say that the most significant yoga practice today was the running in itself! Many people believe that yoga is confined to the poses we engage in during a practice, but the truth is that we can find yoga, or the concept within the practice which is truly the most important aspect of yoga, in anything that physically moves us, as long as it’s something that brings us to a place of focus, meditation, and health. I’ve found myself in mediation mode while exercising at the gym before, and I certainly find that happy place often while running! I just make sure my earbuds are feeding me goodness in the form of an audio book, a motivational video to listen to, or whatever music speaks to me in a positive way. I make sure to incorporate health for my mind and soul into whatever I’m doing to focus on my physical health because bringing all of that together and truly allowing time to focus on it is what yoga is! Today I chose to practice in the grass where I could closer connect with nature as the sun began to set, and it was absolutely beautiful. I feel blessed every single day to wake up in such a gorgeous location where I can easily step into nature to enjoy all the best of God’s artwork! 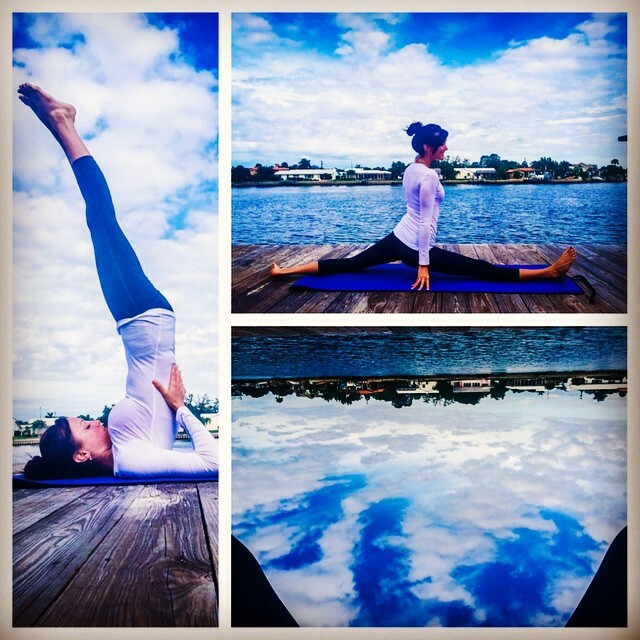 Practicing yoga in an environment like that is beyond inspiring! -Twists like this are GREAT for really wringing out your body to get the blood flowing and toxins releasing. It shakes things up so that all that’s good within your body can keep moving and working as it’s supposed to, it releases tension in your legs, back and shoulders, and it really shakes up those toxins that have built up from stress and poor diet so they can kick rocks and get outta here!! Feels amazing, especially with a nice firm arm in the air to open up your heart to the world!